"Aromas of lemon zest, baked biscuits, flint and a hint of nutmeg reminiscent of old world Chardonnay. On the palate there is a beautiful balance of texture from the lees stirring and length from the wonderful limestone-centric soils of the Waitaki. Concentrated yet refined; full of character yet showing youthful shyness; This Chardonnay highlights the potential in Waitaki for producing world class wines. Made in tiny quantities this wine is a treasure to enjoy now and also worthy of burying away in the treasure chest for a handsome reward in years to come." The 2015 Waitaki Vineyard Chardonnay has sold out. 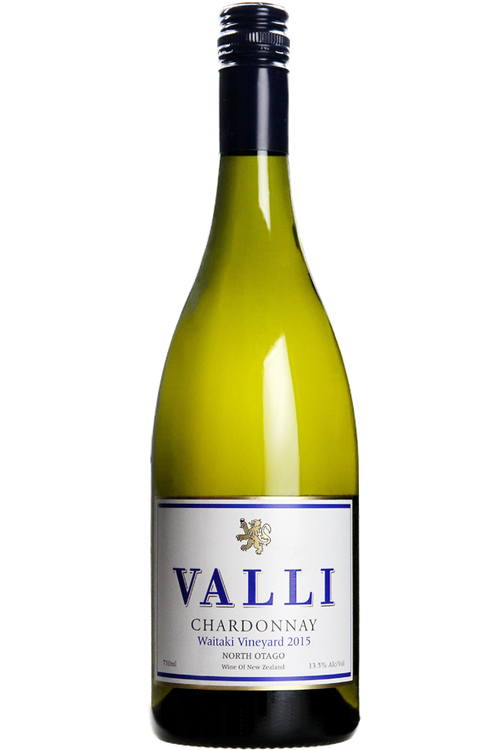 Please contact hollis@valliwine.com to be notified of the next release.